Louth has always been a relatively cheap place to buy property, compared with many other towns in England. Along with the rest of Lincolnshire it tends to escape the property booms that affect the south, and prices trail behind accordingly. 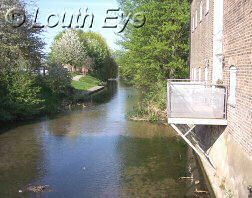 The population of Louth is around 20 000 (taking into account some of the surrounding area). In a town as small as this you do not find such clear distinctions between good and bad areas to live in as you will often find in larger towns and cities. Although a handful of streets may be considered to be more or less desirable than the rest, there are plenty of roads where smaller terraced buildings and beautiful old detached houses exist side by side. Generally speaking some of the best property is to be found in the west of the town: Westgate, St Mary's Lane, and Crowtree Lane in particular. Houses here are conveniently close to the parks of Hubbards Hills and Westgate Fields, as well as being near to the golf course and grammar school. But even in these streets the location is no guarantee of quality. Not all of the houses in this part of town are enormous Georgian mansions with price-tags to match. The river Lud runs through Louth, and plenty of properties have been built on its banks, and by the side of the canal that it leads into. If you are considering buying one, be aware that there are small parts of the town that are vulnerable to flooding. The risk for most of Louth is low. But if you are in any doubt, check with your insurers before purchasing a property close to the river. Louth is a market town which prides itself on its historical buildings. This means that the nearer you are to the centre the more likely it is that a house will come within a conservation zone. If you own a building within one of the conservation zones you will need to apply for planning permission in order to carry out certain alterations. This can be quite restrictive, although how restrictive depends on where the property is situated.